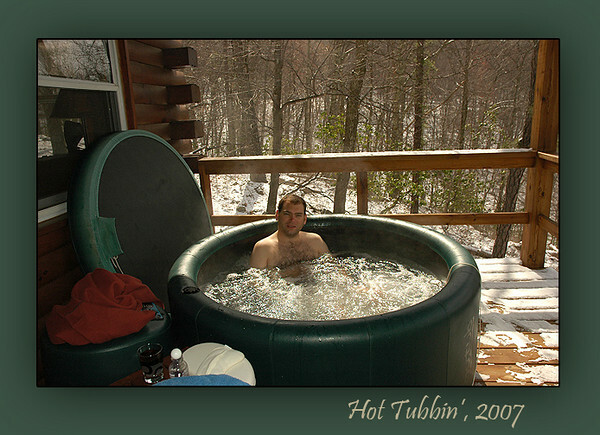 The small soft-sided hot tub I added to the deck in the summer of 2006 is a good place to relax after walking the steep grades on the mountain, or it can simply be a great place to take in the mountain view from the deck. It's a favorite of the guests and is filled for most of the year. It's best enjoyed during a mountain snowstorm!